Editor’s note: “Future V.I. History Makers” is series of profiles on young Virgin Islanders destined to make their mark on the world. CHS sophomores Trey Francis and Amira Claxton are vice president and president, respectively, of their class. 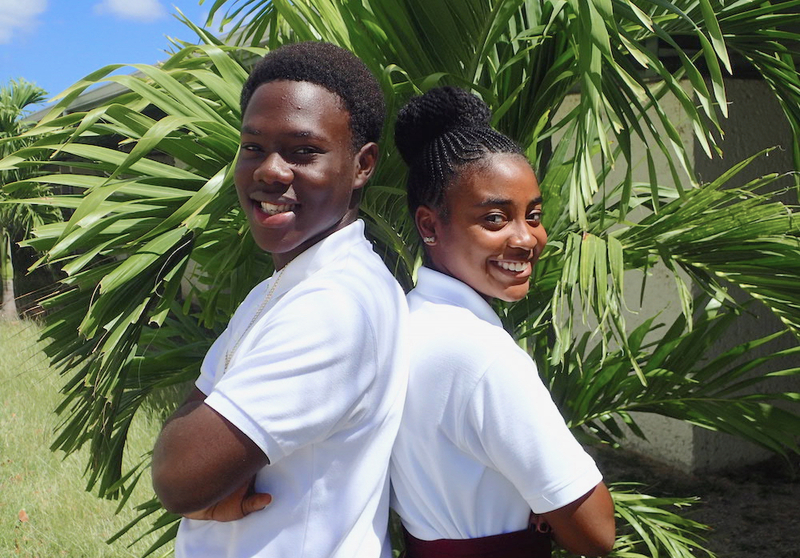 Even at the age of 15, Amira Claxton and Trey Francis think about the future and envision changing the world for the better along with their outspoken and tech-savvy generation. They are leaders already – Claxton is St. Croix Central High sophomore class president and Francis is vice-president. With their skills, they plan to push for racial, sexual and pay equality as they move into adulthood. Born after 2000, they are considered Generation Z, and Claxton says her generation likes to be heard but is also willing to listen and understand different points of view. They agree laws should be changed to keep students safe from school gun violence. Claxton thinks gun sellers should ask why a prospective buyer wants or needs a gun and Francis wants the minimum age to purchase firearms increased. Francis said the Black Lives Matter movement is important because not everyone has the same rights and many have grown up with unfair hardship. “We’re all equal. We have the same blood running through our veins,” he said. And Claxton feels members of the LGBT community, who experience hatred and threats, are treated unfairly. The student leaders don’t agree on Virgin Islands status. Claxton doesn’t believe statehood is the right answer, although residents should have the right to vote for president. Francis, on the other hand, thinks statehood is the only way for Virgin Islanders to have the same rights as those on the mainland. According to the news and opinion website HuffPost, Gen Z is an age group of multitaskers following the so-called Millennials. They are entrepreneurial, believe in diversity and have high expectations. Francis and Claxton fit into the mold with expectations for careers to help others, especially Virgin Islanders. Francis wants to earn a degree in business management and plans to help anyone who wants to start and run their own business. To prepare himself, he is involved with the 4H Ambassadors program through the University of the Virgin Islands. In February, he participated in a national conference in Washington, D.C., that highlighted a green project, mapping St. Croix’s farms and gardens and teaching gardening skills. He plans to begin his career on the mainland after college but hopes to return to his home island someday. When asked what moment in Virgin Islands history inspires them the most, both answered “Fireburn.” Francis said 1878 labor riots on St. Croix demonstrated how Virgin Islanders have overcome hardship. “Everything in their story amazes me. That women could be so strong and powerful and such good leaders,” Claxton said about “the Queens,” the women who led the uprising. In the future, flying cars and homes that can be moved easily may become realities according to Claxton and Francis. Robots may help cure diseases, provide childcare and take over jobs when people are sick, Francis thinks.